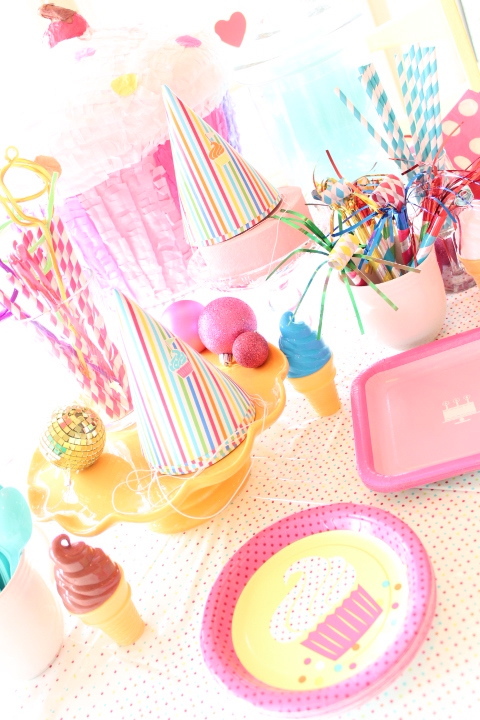 Get ready for our "CUPCAKE's Cupcake 1st Birthday Party"! The funny part is we didn't even have cupcakes to eat...we ordered an ice cream cake! Cupcake hats from Target....and I just put some cupcake sticker on them to add some festive-ness! Ice cream cone bubbles....we love bubbles. 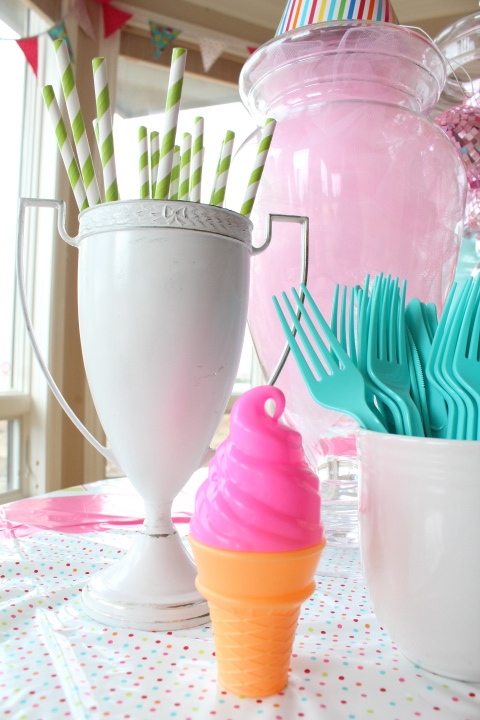 We love bubbles that look like ice cream cones even more. 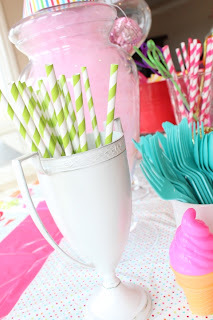 I am kinda in love with the "old timey-ness" of these "candy" striped paper straws! 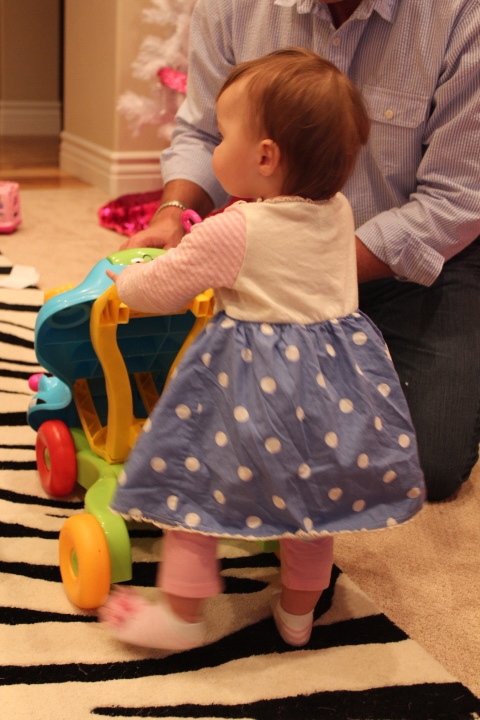 I ordered them from: www.sweetsandtreatsboutique.com, they come in every color and polka dots! Look at how stinkin cute these paper straws are! The lime green are my favorite! I can think of so many fun craft projects to use these babies! 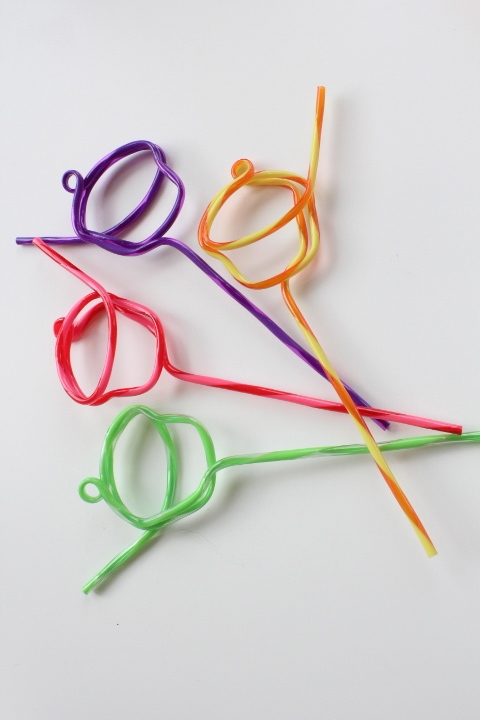 Cupcake straws....need I say anything else. Well, except that I got them at Target too! You can see how the whole "party table" looked! 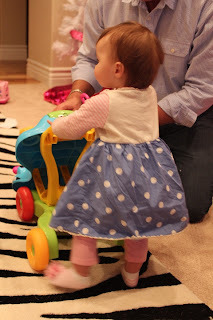 How cute is the little cupcake and polka dot fabric flag banner- and if you guessed I got them at Target again, you'd be right! At moments like this, I am reminded just how that buttery yellow, was the happiest color I could have spray painted my chairs! 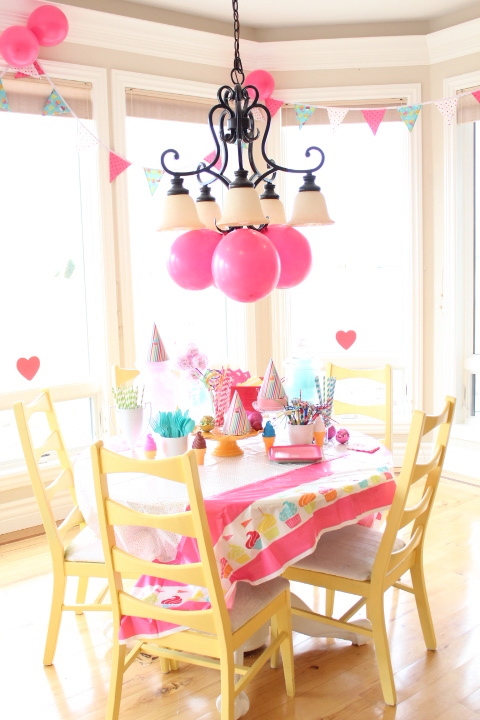 Can you see our giant cupcake pinata peeking out from the background? and yes, we had to get the cupcake plates too! 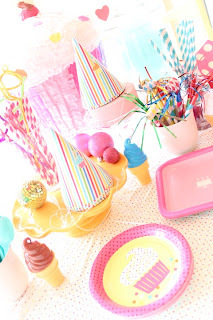 ice cream cones, cupcakes, and pink-a-dots...oh my! And Alani helped pick out the cake for little Elyse...she also requested to have the cake decoration, blocks and balloons too! 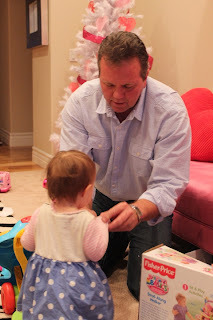 I woke up extra early on Sunday to decorate....and even though some of our little family wasn't feeling well, and birthday girl teething were giving her some "not-so-happy-ness"...which made us shrink our plans from , "big invite everyone"....to "just a little family party"...we had a great time. And my precious little 1 year old...oh that sounds so big now! 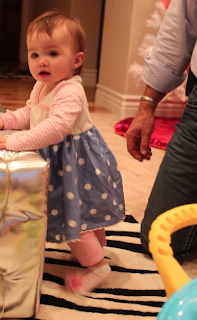 huge hugs, party hats and fun straws.... your kandee and her 1 year old!